Fine point for writing in small areas with detail - great for laminated planners and calendars. Low-odor ink for whiteboards, glass and other nonporous surfaces. Wipes off easily with a dry cloth or eraser. Sturdy pocket clip for portability. Nontoxic; ACMI certified (conforms to ASTM D 4236). Fine point for writing in small areas with detail - great for laminated planners and calendars. 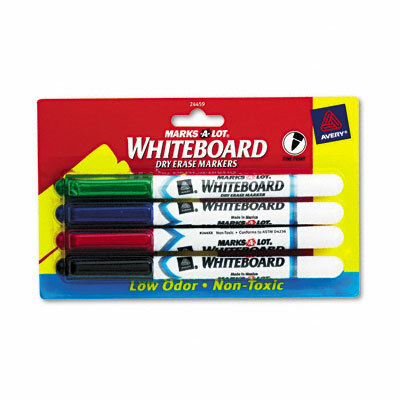 Low-odor ink for whiteboards, glass and other nonporous surfaces. Wipes off easily with a dry cloth or eraser. Sturdy pocket clip for portability. nontoxic; ACMI certified (conforms to ASTM D 4236).